ISRAEL - JUST THE FACTS: This Is The Most AMAZING Speech An Israeli Ever Gave At The UN! JUST WOW! This Is The Most AMAZING Speech An Israeli Ever Gave At The UN! JUST WOW! and it should have been said a long time ago! It's Time To Wear Your Support For Israel! 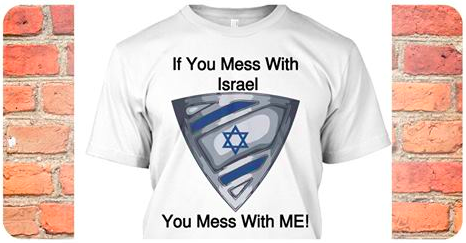 Order Your IsraelShield T-Shirt Today! Click below in the shirt to get yours!